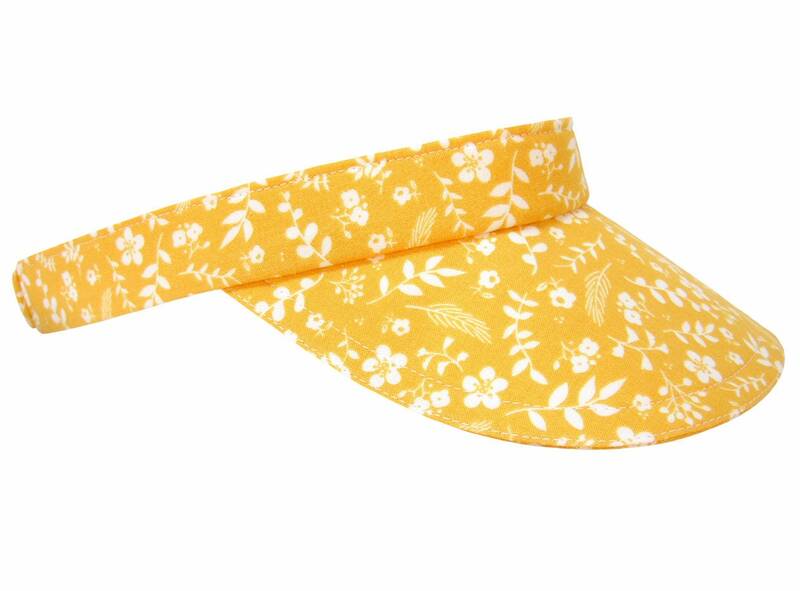 This bright, cheery visor is called "Hello Sunshine" .... 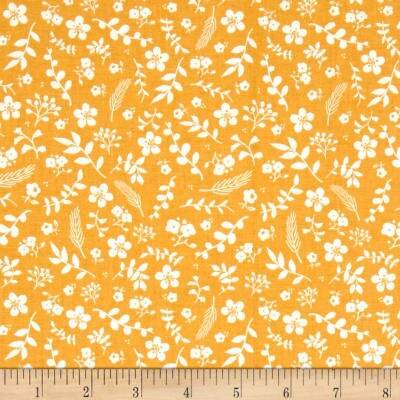 The cutest little yellow and white calico floral print. 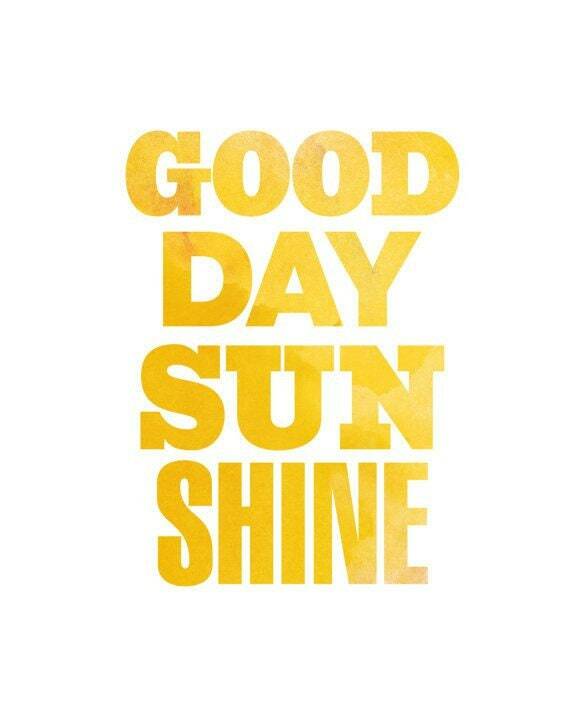 The rich, radiant shade of yellow lets you take the sunshine where ever you go - and even better - wear the sunshine. 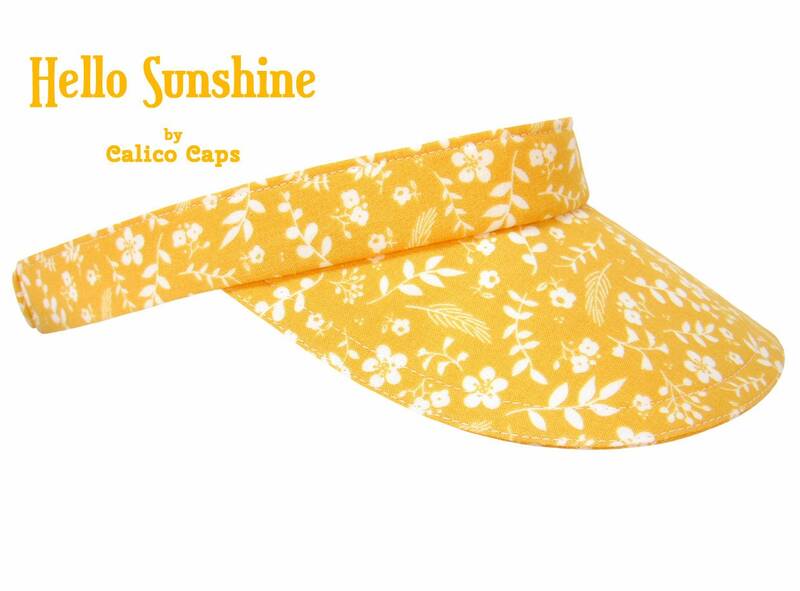 Be the sunshine :) About as yellow as yellow can be - before you call it Goldenrod, this shade has emerged as THE color of the season - what Vogue is calling "Generation Z Yellow", TrendStop.com calls "Sunglo Yellow". Some might call this shade Honey, Amber, Mustard, Cyber Yellow, Marigold or Saffron. I just love it! 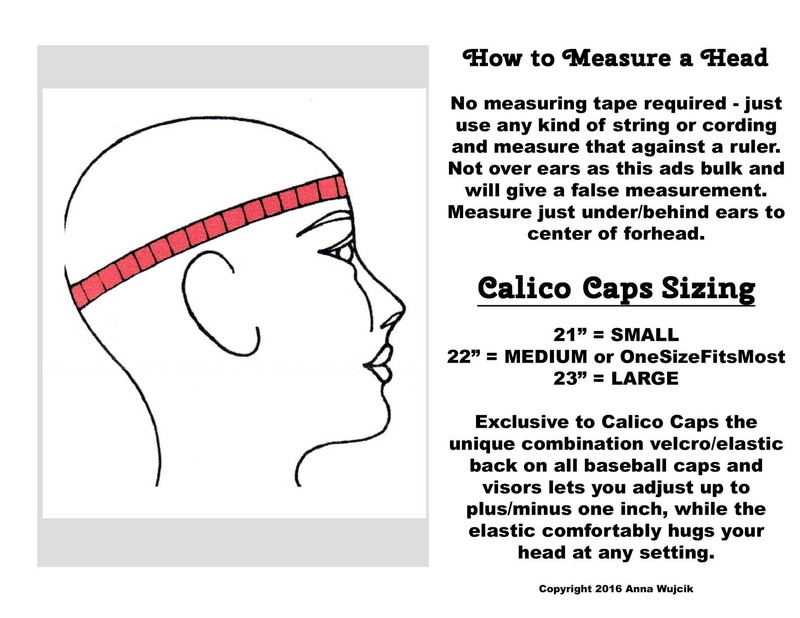 White top-stitching, matching golden yellow grosgrain lines the entire band.